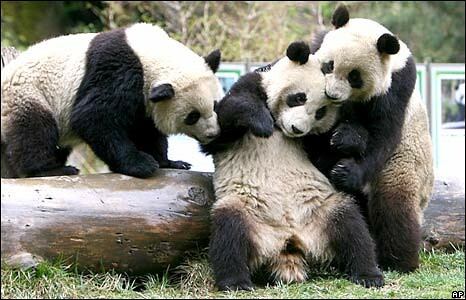 Pandas are probably the best gift ever given to the internet. They supply hours of hilarious and cute internet videos. One of the most bizarre trends of the last year came from a rap group called the Cali Swagg District. Their “song,” if you can call it that, “Teach Me How to Dougie” became really popular and a dance sensation. Naturally, the two mated and this is the result.